With the unpredictable weather of Cedar Rapids, you need a home exterior that’s durable and energy efficient. Feldco vinyl siding is definitely the way to go. It’s made from high quality vinyl and features a foam backing to absorb impacts and prevent drafts from getting into your home. Also, vinyl doesn’t warp, rot, crack or dent when exposed to moisture, hail or extreme temperatures. 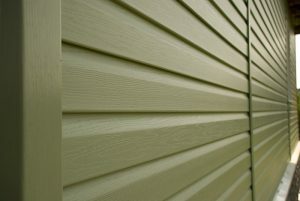 Plus, the colors are baked into the panels when the siding is made meaning the colors won’t fade or discolor over time. Your siding will look great for years to come. The product is only half of the equation – your vinyl siding needs to be installed properly in order for you to reap the benefits. Thankfully, you’ll get expertly trained installers when you choose Feldco. With over 40 years of experience, you know you’re getting the best vinyl siding company in Cedar Rapids. 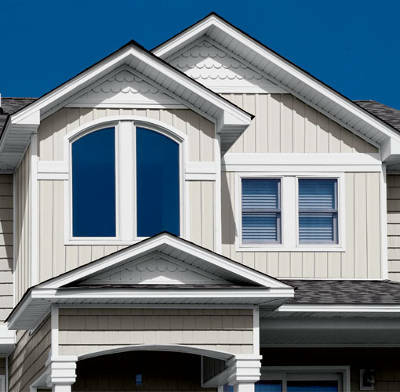 If you’re looking for beautiful vinyl siding, you’ve come to the right place. Feldco offers Cedar Rapids homeowners many different styles and colors from which to choose. Not only that, but our siding is made to withstand Cedar Rapids weather. No matter what is thrown its way, our vinyl siding will stand tall. The product isn’t the only thing that defines our business. We offer expert service to the homeowners of Cedar Rapids. We’ve satisfied over 350,000 homeowners with their window, siding and door needs. No matter what you’re looking for, Feldco has you covered. From a traditional double four siding to the more unique scalloped siding, we offer something for everyone. Take a look at all of your options below. When most homeowners think of siding, the first thing that comes to mind is double four siding. It’s the most popular siding style in Cedar Rapids. It’ll give your home a clean, crisp look that’s sure to improve your home’s curb appeal. Dutch lap siding is quite similar to double four siding with one major difference. The siding panels overlap each other more, giving dutch lap siding a decorative groove that you won’t get with other siding styles. Turn double four siding 90° and you have vertical siding. 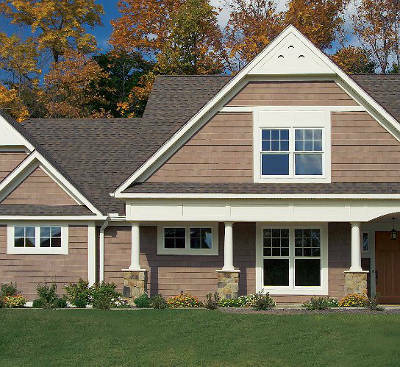 This siding runs vertically and accents other siding styles very well. You can also use vertical siding to side your entire home – it’s an extremely versatile option that looks great. Another siding style that runs vertically is board and batten siding. 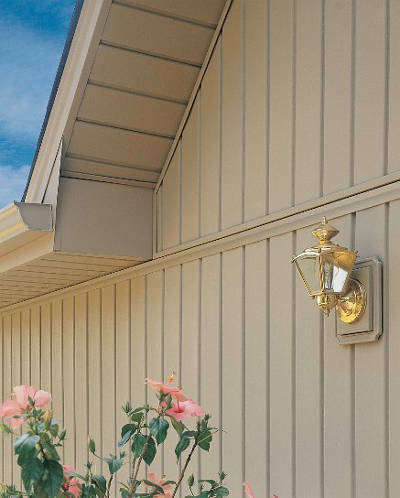 Board and batten consists of two different width boards that alternate around your home. This adds depth and dimension to the exterior of your home. 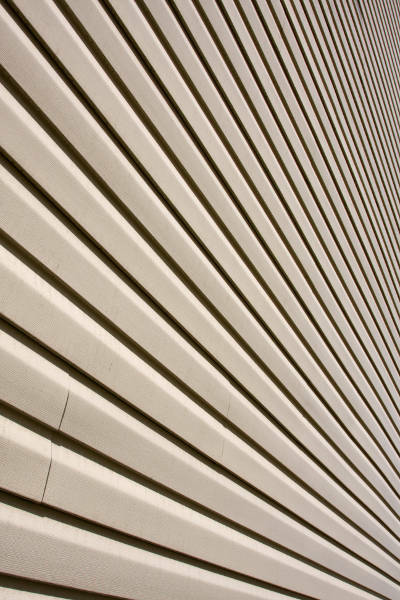 Whether you’re siding a small portion, an accent wall or your entire home, board and batten siding is a great option. 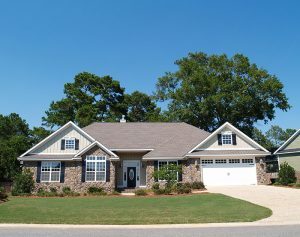 Do you like the look of wood shingles but don’t want to deal with all of the maintenance? Then shake siding is perfect for you. It mimics the look of wood shingles but is resistant to moisture meaning it won’t warp or rot. 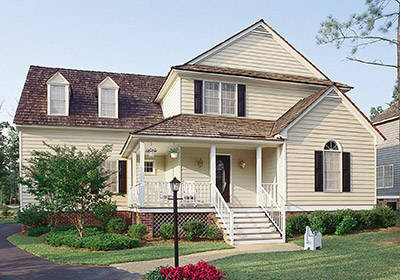 Scalloped siding is unlike all of the other siding styles because it doesn’t consist of sharp edges. 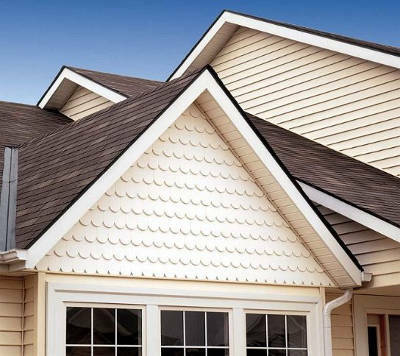 The bottoms of scalloped siding are rounded and resembles fish scales. It’s a great option for eaves or gables and is sure to draw a lot of attention to your home for its beauty. No siding job is truly complete without soffit and fascia. 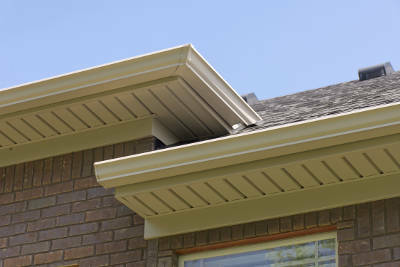 Soffit is found on the underside of extended roof lines and provides excellent ventilation. Fascia works as a trim between your home exterior and roofline. 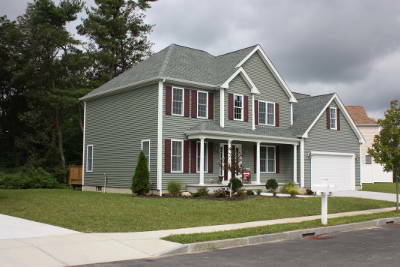 A high quality vinyl siding is important but so to is its installation. If it’s not installed properly, you won’t reap any of its benefits and it won’t look as good. That’s why you need to find a trustworthy vinyl siding installation company in Cedar Rapids. Your search ends with Feldco. With factory trained and certified professionals working on all of our siding projects, it’s no wonder 350,000 homeowners have trusted us with their home improvement needs. Cedar Rapids, like the rest of the Midwest, has very unpredictable weather. One day it can be warm and sunny and the next day it can be cold and raining. Snow, hail, heavy winds and extreme temperatures are all experienced by Cedar Rapids homeowners. That’s why you need a home exterior that can stand the test of time and protect you from the weather. Vinyl siding won’t warp, rot or expand so it’ll look great. The foam backing prevents it from denting and keeps drafts from getting into your home. Top that with professional installation and you’ll see why Feldco has been serving the Midwest for over 40 years. With premium products, expert installation and friendly service, you won’t find a better siding company in Cedar Rapids.